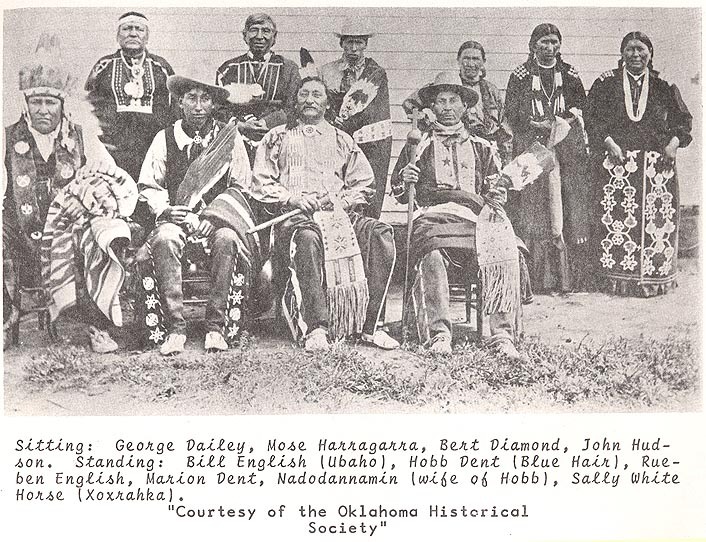 Standing L-R: Pa-Hatch (aka Big Brave, aka Elisha Dorion), Kahega-inga (aka Little Chief), Black Hawk, unknown, unknown. 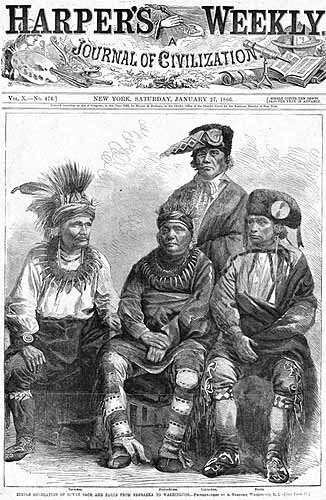 Harpers Weekly Journal of Civilization - 27 January 1866 issue. 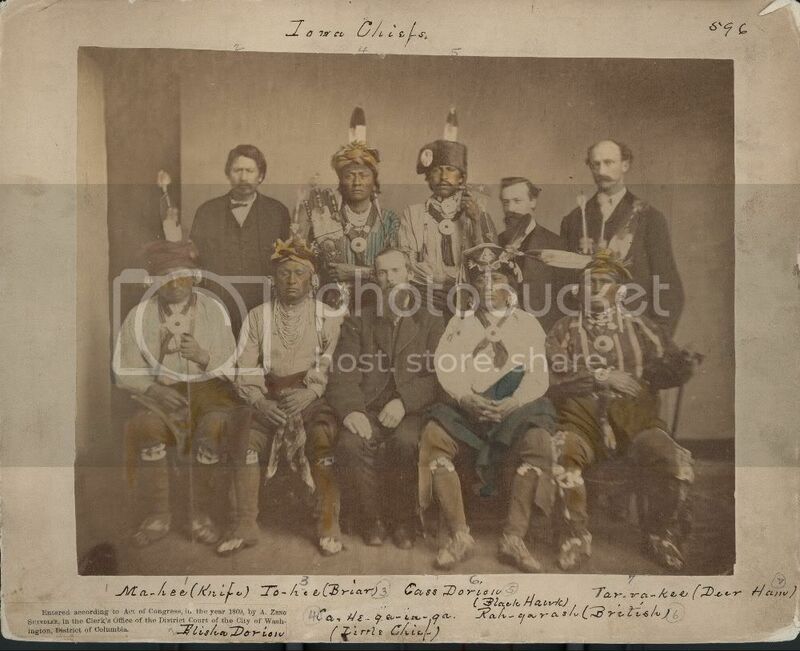 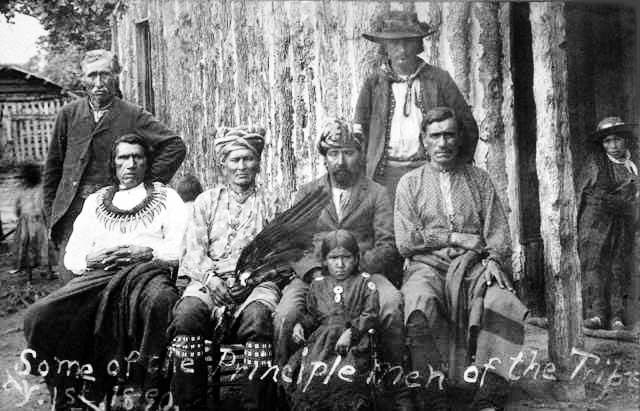 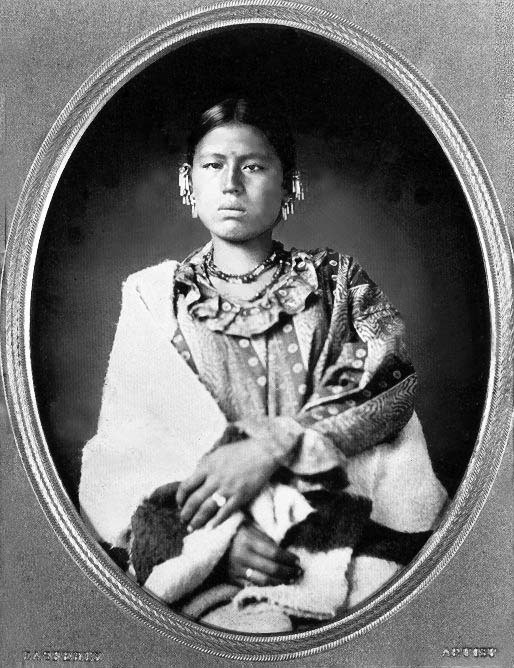 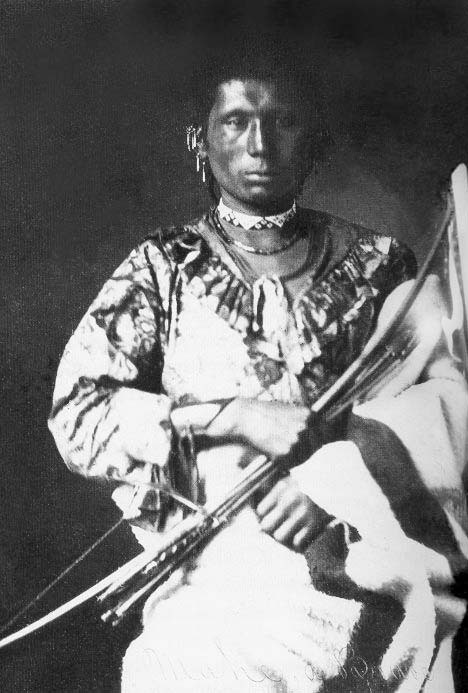 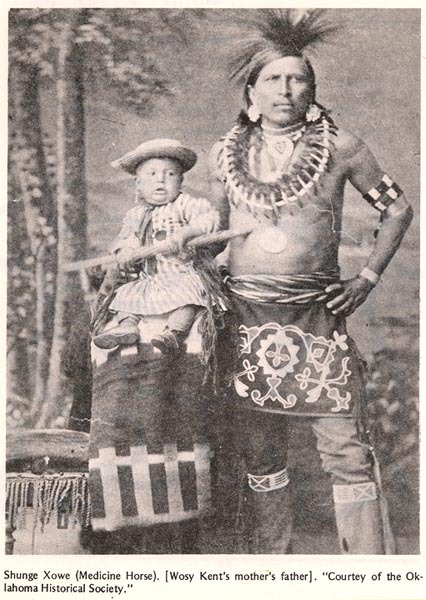 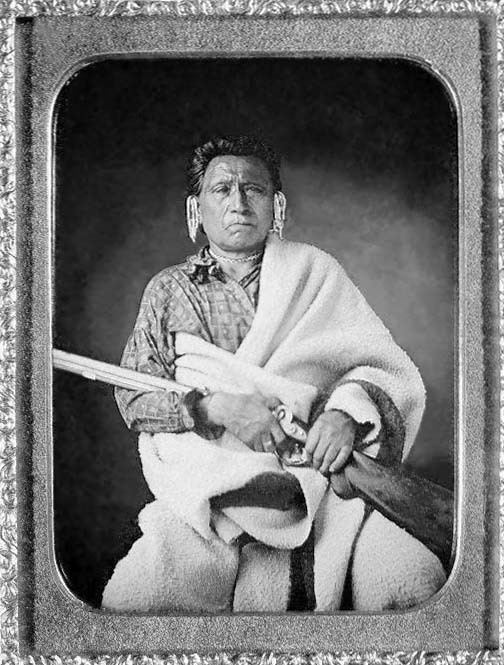 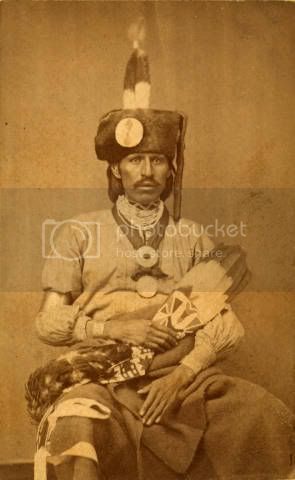 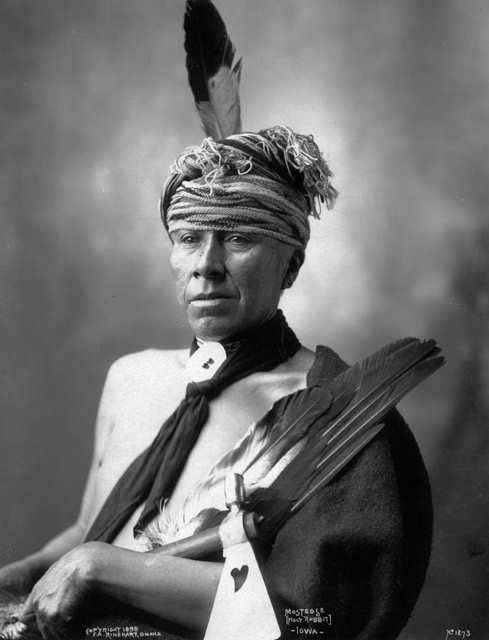 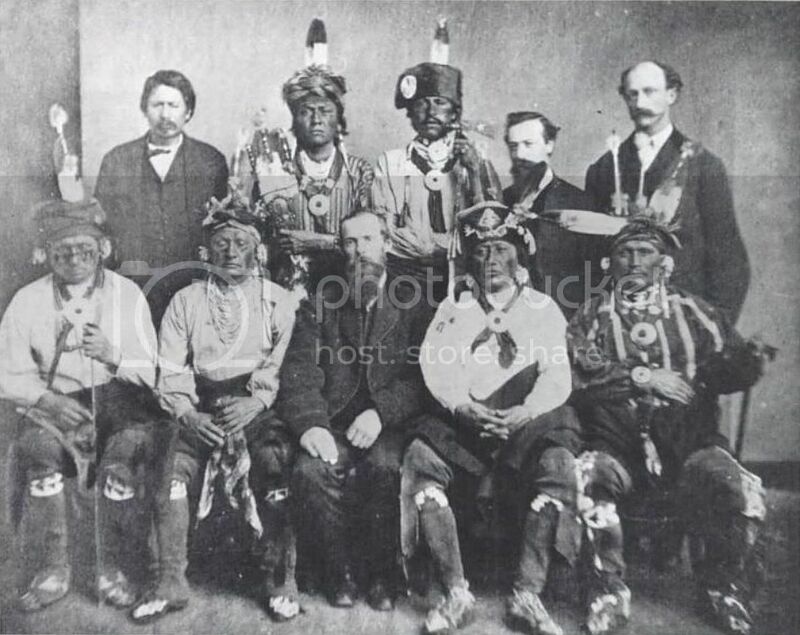 Caption reads: "Indian delegation of Iowas, Sacs and Foxes from Nebraska to Washington" --Photographed by A. Gardner, Washington D.C.